I made it out of paper. 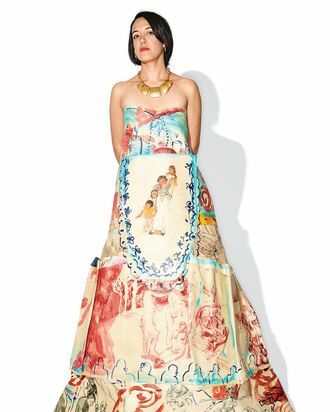 I call it “the family dress” — on the front is a portrait of me with my nieces. 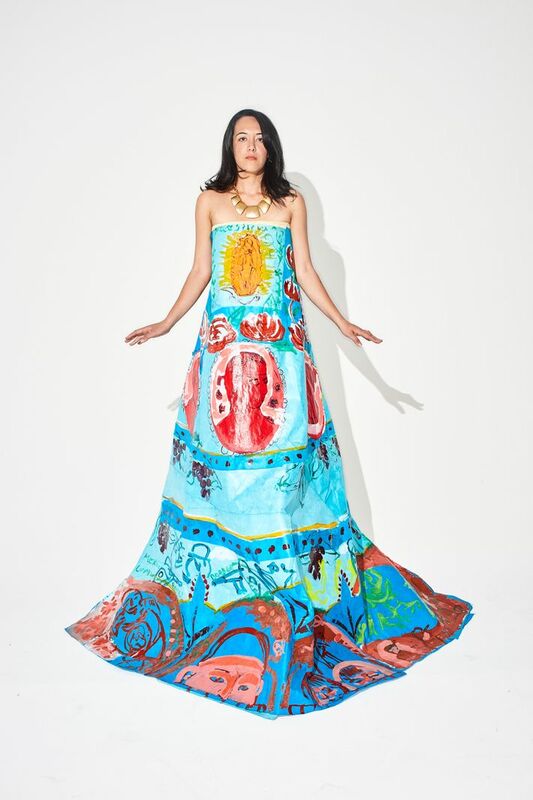 The idea was for the dress to look European, but also speak to the history of colonialism. It’s about migration and being ungrounded. 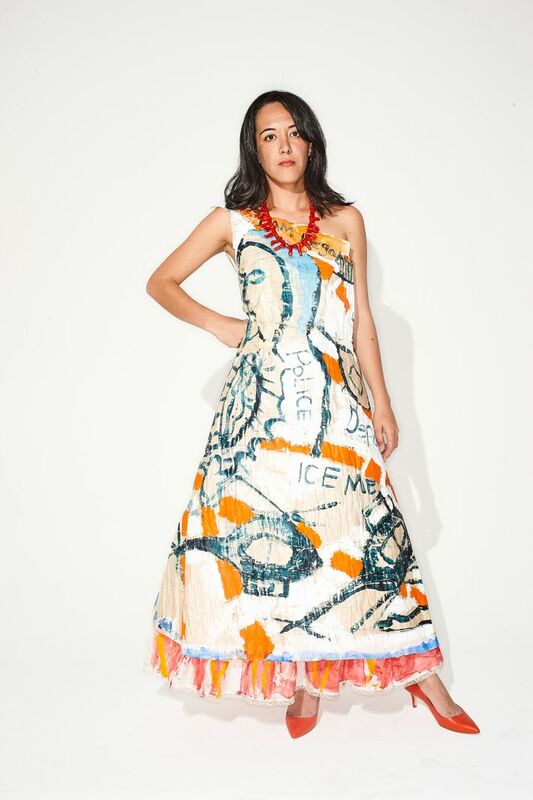 I have another dress that I wore to the fashion exhibit at the Met that had phrases on it like DEPORT ME and DACA (Deferred Action for Childhood Arrivals). 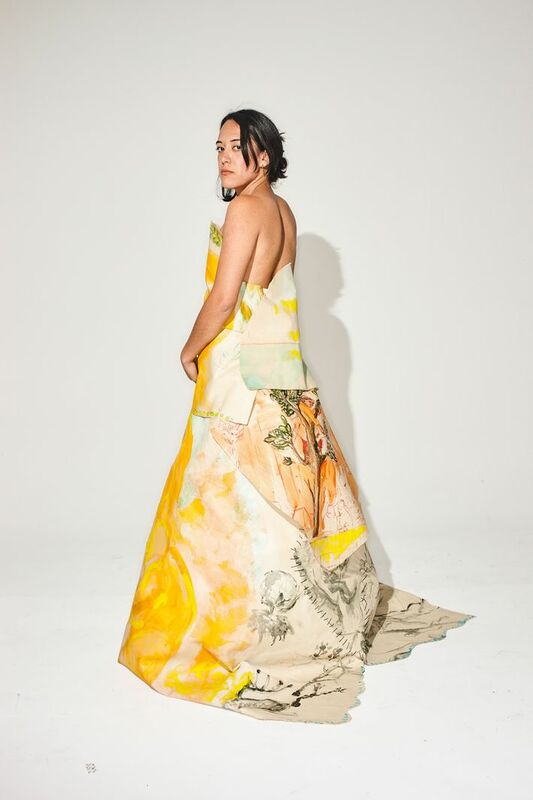 I’ve been making dresses like this for the past two months for a show I’m having in June at Front Art Space. I was thinking that art, when it looks political, people don’t want to engage with it. But a beautiful dress? 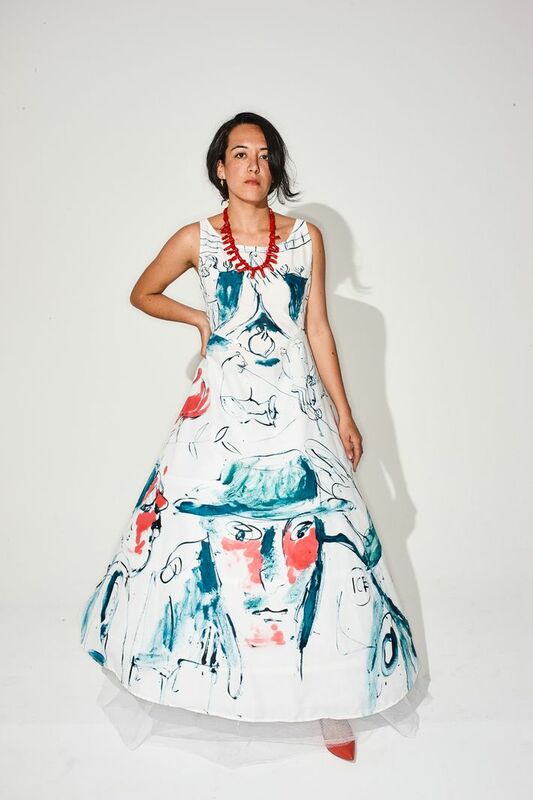 I’m curious if a dress can make people engage. I was born in Michoacán, which is in the south of Mexico. I’m the oldest of eight, and my siblings and I were smuggled across the border in a van when I was 11 — they pretended we were someone else’s kids, and we were given Tylenol so we’d be asleep during the border crossing. We were brought to Los Angeles, to our aunt’s apartment with these brown rugs, and our first meal was pineapple pizza, which I hated. Something about the sweet pineapple with the tomatoes. I remember thinking it was just wrong. Bona fides: B.F.A. from Pratt; M.F.A. from Yale.